In Walt Disney’s words, “To all who come to this happy place... Welcome.” In 1955 Walt Disney’s dream became a reality. Disneyland® Park, his vision of a magical destination where families could have fun together and create memories to last a lifetime, opened its doors to the world. Whether young or young at heart, come discover a magical kingdom full of classic family-friendly attractions featuring globe-trotting adventures, visions of yesterday and tomorrow, storybook fantasies, and parades of all your favorite Disney characters. When the sun goes down, the fireworks begin, and so does Fantasmic!®, a journey through imagination. Disneyland® Park is “Where Dreams Come True,” but the fun continues next door at Disney’s California Adventure® Park. Experience the treasures of the Golden State in the golden age of Hollywood as you stroll the shops of Buena Vista Street. From aspiring stars and bright lights to the classic seaside piers that dot the Californian coast, entertainment and unique experiences await you. Catch the nighttime spectacular, World of Color® for a brilliant display of dazzling lights and effects. Even after the parks close, the action continues at Downtown Disney® District, where you can find souvenirs of every kind, live music, and a wide selection of great food including Cajun, Mexican, or Italian favorites. Grab ice cream or a churro for the road home. If you’re craving more, the Anaheim Garden Walk is one block away for all your eating and shopping needs. 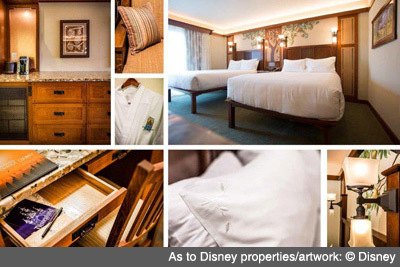 This stunning hotel offers premium accommodations and rich dining experiences in American Craftsman style and elegance. Choose from a variety of different relaxing pools, including the peaceful oasis of the Fountain Pool and outdoor hot tub, the Redwood Pool with waterslide, and the refreshing Mariposa pool and outdoor hot tub. Indulge your senses with exotic treatments, specialty massages and rejuvenating facials that purify and cleanse your mind, body and spirit at the Mandara Spa. Disover award-winning food and wine, cozy lounges, Character Dining and much more. It’s a breeze to access Disney California Adventure® Park from the hotel using a convenient entrance and exit (with valid theme park admission). Retire to your room whenever you wish, then return to the fun! 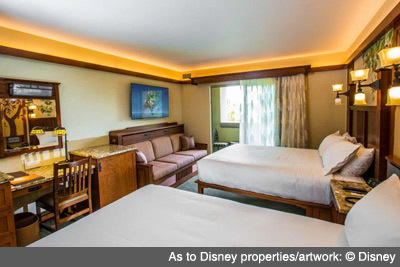 Disneyland® Resort Hotel Guests can also enjoy early admission, during every day of their hotel stay, to select attractions in either Disneyland® Park or Disney California Adventure® Park one hour before the park opens to the public. Standard guestrooms feature either one king-size bed, or one queen-size bed plus a bunk bed, or 2 queen-size beds (bedding based on availability at time of check-in), complimentary wireless and wired Internet access, robes, DVD player, iron/board, hairdryer, make-up mirror, safe and more. 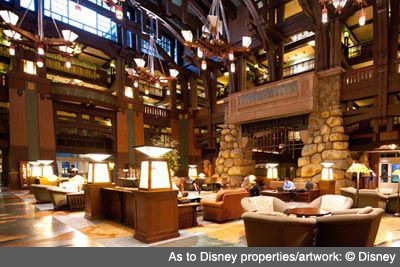 Disney’s Grand Californian Hotel & Spa is located approximately 14.2 miles from John Wayne Airport (SNA),14.3 miles from Long Beach Airport (LGB), and 34 miles from Los Angeles International Airport (LAX). 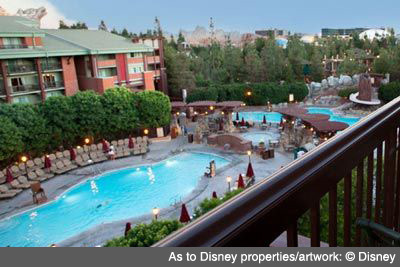 Specially priced Disneyland® Resort Theme Park tickets are available to Northwest Seminars attendees and their travel companions. Tickets are valid from Thursday, June 14, 2018 through Monday, June 25, 2018. Store will open Wednesday, February 14, 2018, 4 months prior to the meeting. These special ticket prices are not available once you arrive at the Resort. Our ticket store closes at 9:00 PM PST on Thursday, June 14, 2018. Don't delay! Prices are subject to change without notice. These specially priced tickets are intended only for guests that are participating in this Event. Only the registered attendee is allowed to purchase tickets from this discounted ticket store link and they can purchase up to 6 tickets maximum. These tickets cannot be purchased for the purpose of being resold. If one person/credit card will be used to purchase tickets for several attendees, please combine orders. There is a limit of 6 tickets per order with a maximum of 2 orders. If you need to place more than 2 orders, please contact the Disney Meeting Ticket Store at (714) 520-7053, Monday-Friday, 8:30am-5pm, PST. They are closed on major holidays. Disneyland Resort reserves the right to contact the ticket purchaser to request event registration confirmation. If it is discovered that the purchaser of the ticket is not participating or attending this event it will be considered a misuse of this offer and ticket, and the ticket(s) will be blocked and will not be eligible for a refund. In addition these tickets cannot be purchased for the purpose of being resold. Certified Registered Nurse Anesthetists: This program has been prior approved by the AANA for 20 Class A CEC; AANA Code #1036185; Expiration Date 6/21/2018. $100 April 19, 2018 to May 19, 2018. No refund after May 19, 2018; however, 50% of tuition paid may be applied toward tuition for another NWS program within the next 12 months. Cancellation must be made in writing.